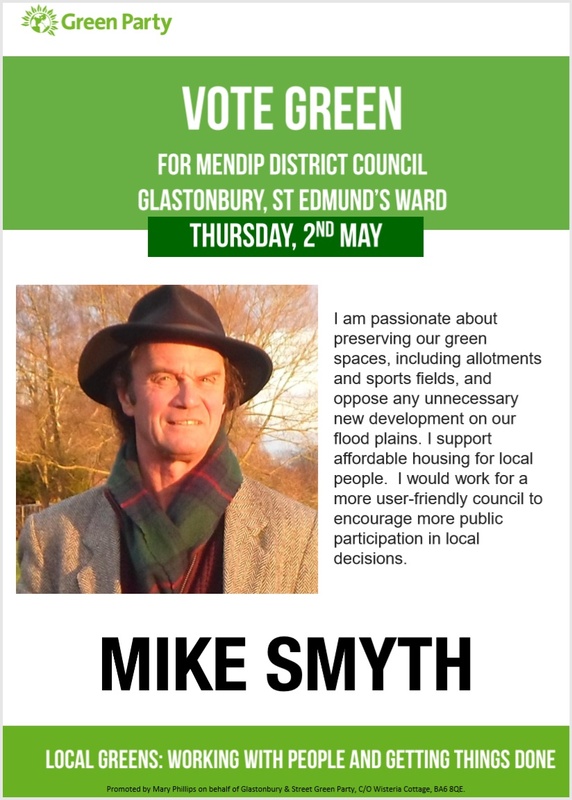 Glastonbury elects 3rd Green Mayor! 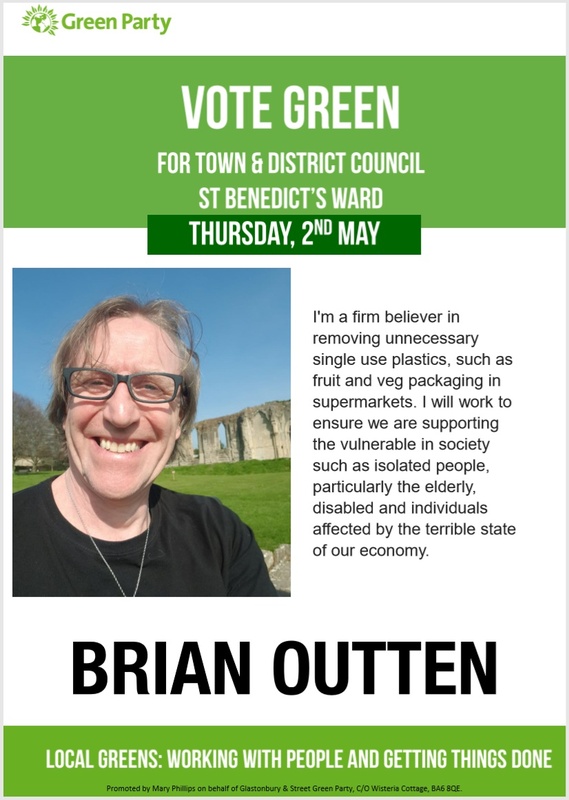 On Tuesday, 9th May 2017, Cllr. 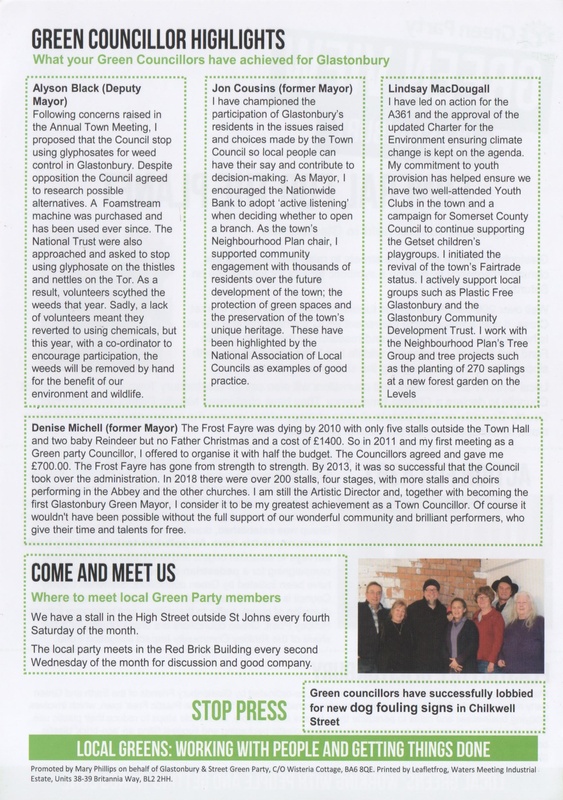 Emma George became the 318th – and third successive Green – Mayor of Glastonbury! Out-going Mayor, Cllr. 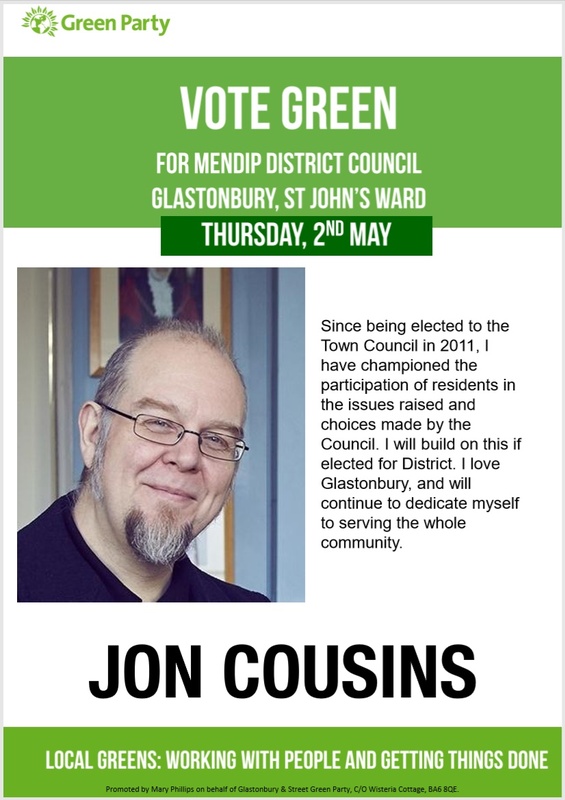 Jon Cousins, proposes Cllr. Emma George as his successor. 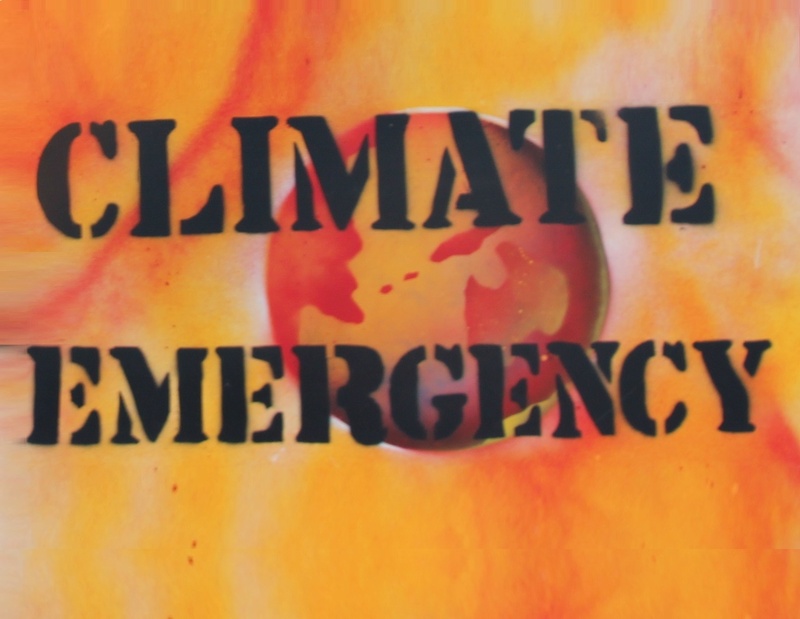 photo: Claire Herbaux, Central Somerset Gazette. 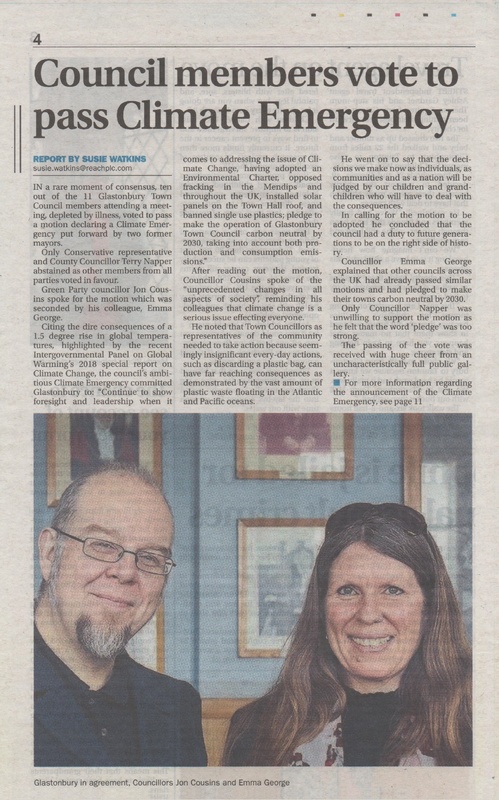 Emma’s nomination was seconded by Conservative Councillor Steve Henderson. 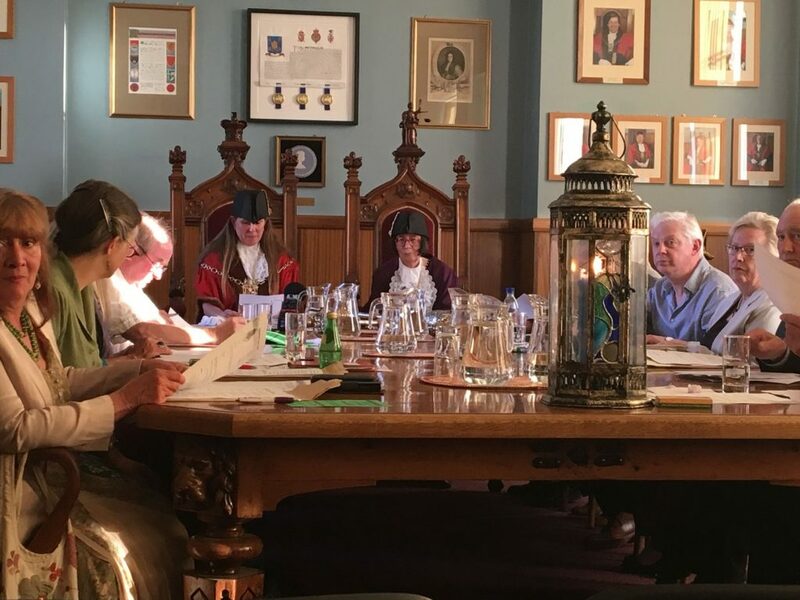 There were no other nominations, and Emma was elected Mayor by a unanimous vote. 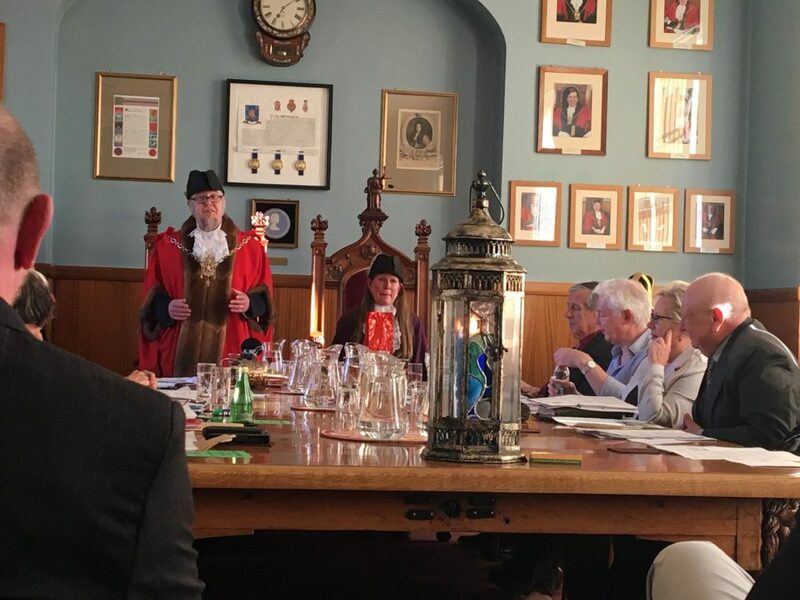 The new Mayor of Glastonbury reads the ‘Declaration of Acceptance of Office’. photo: Claire Herbaux, Central Somerset Gazette. 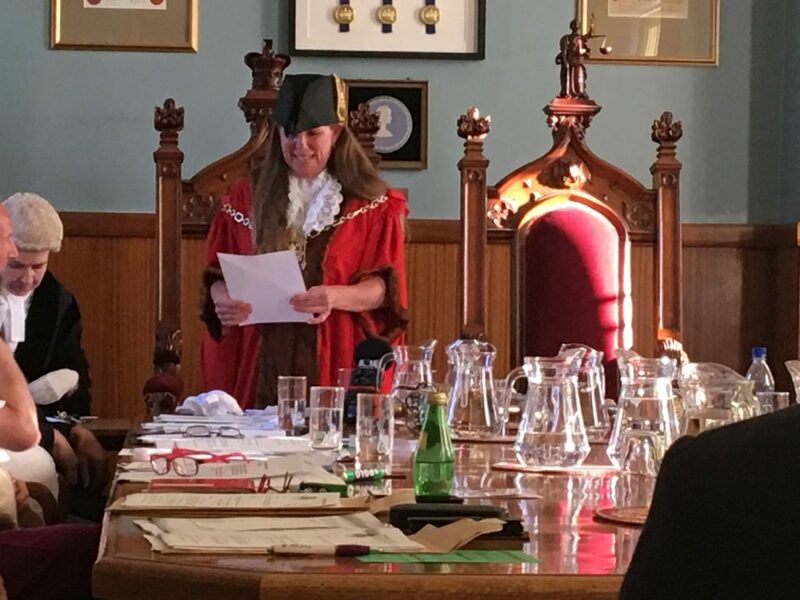 Emma’s first act as Mayor was to preside over the election of Liberal Democrats Councillor Denise Abbot as Deputy Mayor; a first for Glastonbury – as the positions of Mayor and Deputy Mayor have never been held by two women during one Mayoralty before! 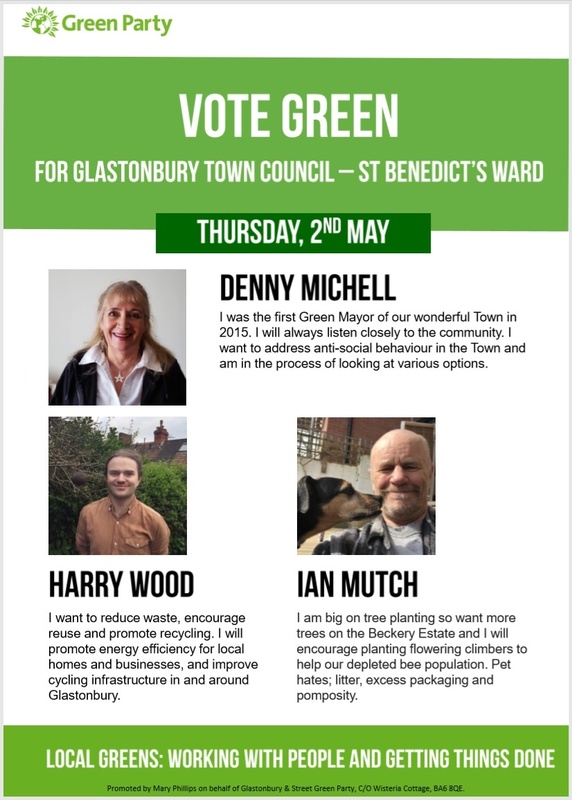 Cllrs. 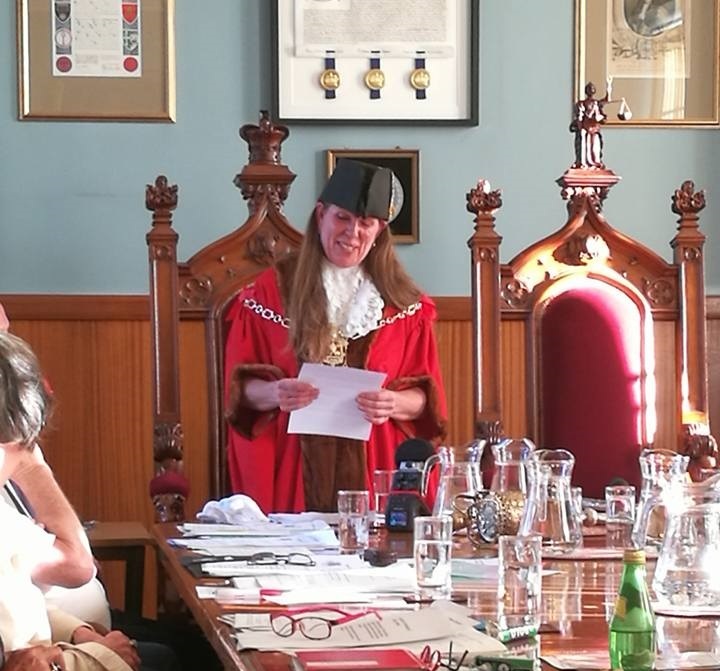 Emma George and Denise Abbott enthroned as Mayor and Deputy Mayor of Glastonbury. The first time that two women have sat at the top of table in the Council Chamber! photo: Claire Herbaux, Central Somerset Gazette. 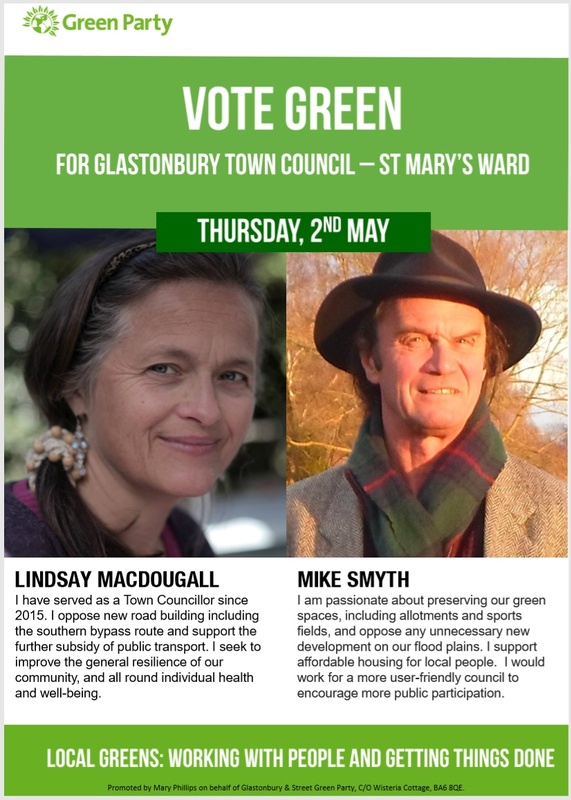 As the third Green Mayor of Glastonbury, Emma follows Cllrs. 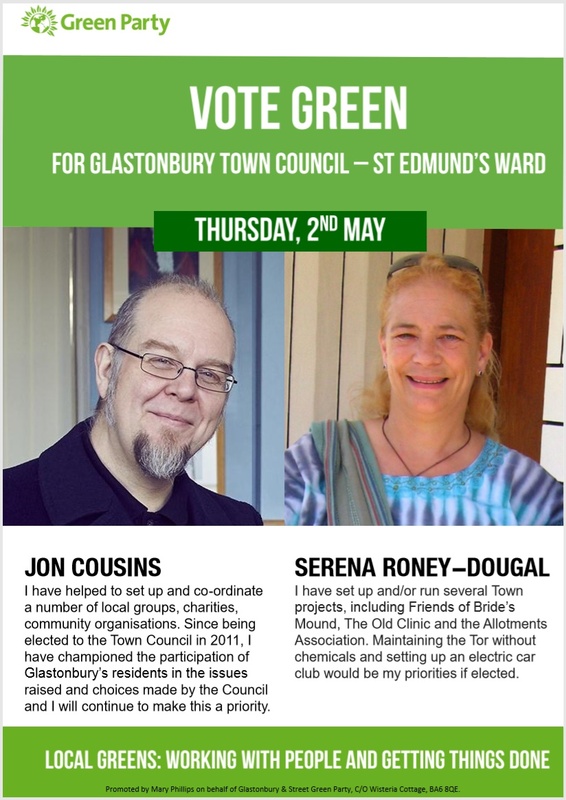 Jon Cousins (2016-17) and Denise Michell (2015-16); a major achievement for the Green Party’s members and supporters in the South West. 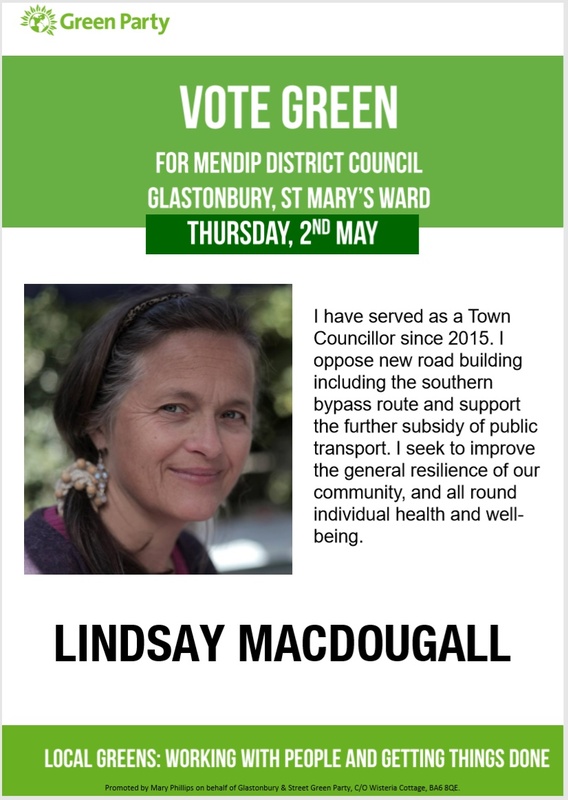 Glastonbury’s Green Councillors fully support the Lighten the Load campaign – please add your signature to petition HERE. Glastonbury Tor and Chalice Well are now in the top 5 on Tripadvisor, out of 383 attractions in Somerset! Both attractions are accessed from the perilously narrow A361. 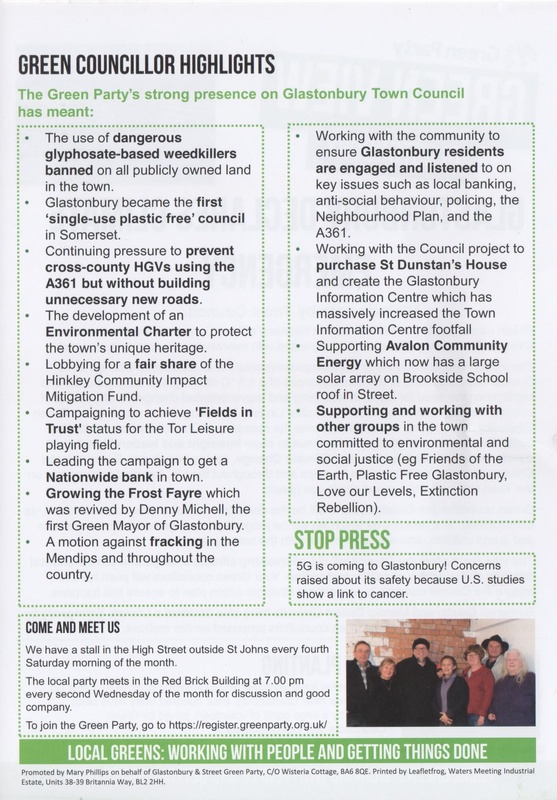 But Somerset County Council refuses to re-route HGVs from Glastonbury’s Tourist Trail. 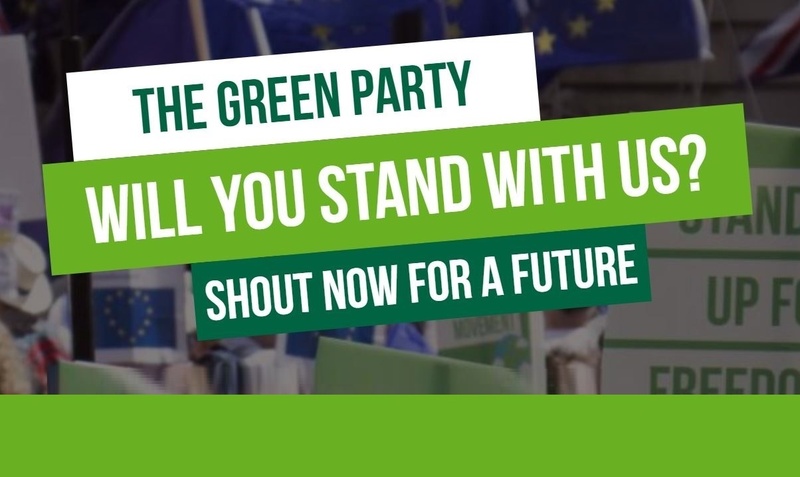 It is not too late to: SHARE THIS PETITION and COMPLAIN TO THE COUNCIL using the link below. As I write, the ever increasing HGV traffic is shattering the peace of this ancient place of pilgrimage, endangering the lives of hundreds of thousands walking the narrow pavements. We continue to suffer broken sleep, stress and pollution while we watch accommodation businesses fold. Complaints are vital, not least because County has recently claimed that – traffic has NOT increased – in spite of all experience to the contrary! 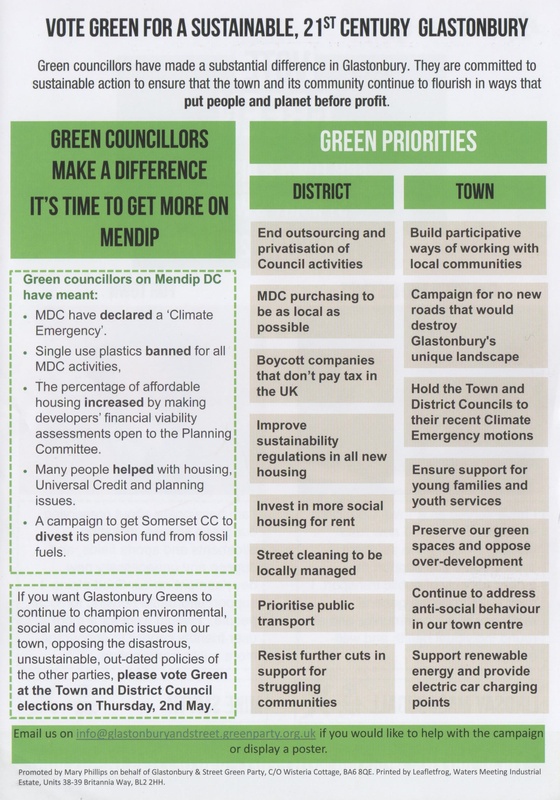 – they will NOT fund traffic surveys, decibel, pollution and vibration testing for Glastonbury. 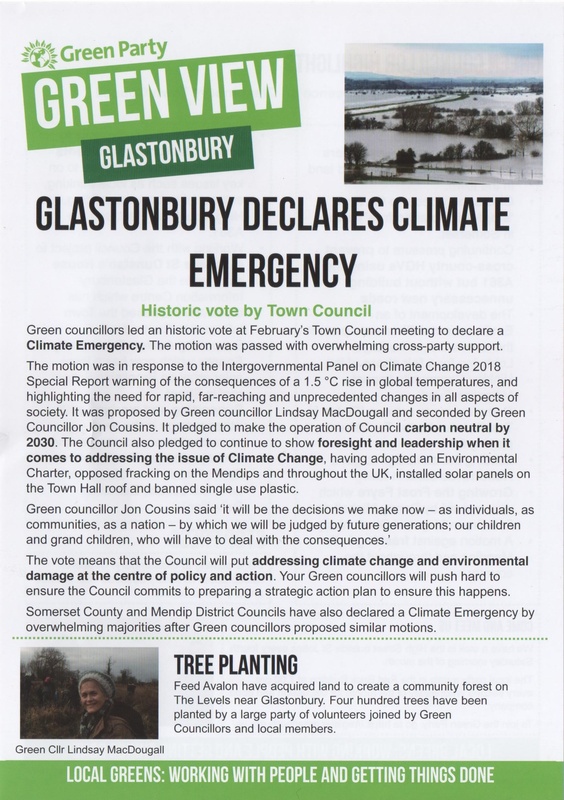 The leaders of Highways have repeatedly failed to meet with Glastonbury Town Council. With cramped fingers they hold on to the status quo, praying we will give up and go away. Remember your last walk along the A361 for the Tor footpath with your friends/family/small children/dog on lead. 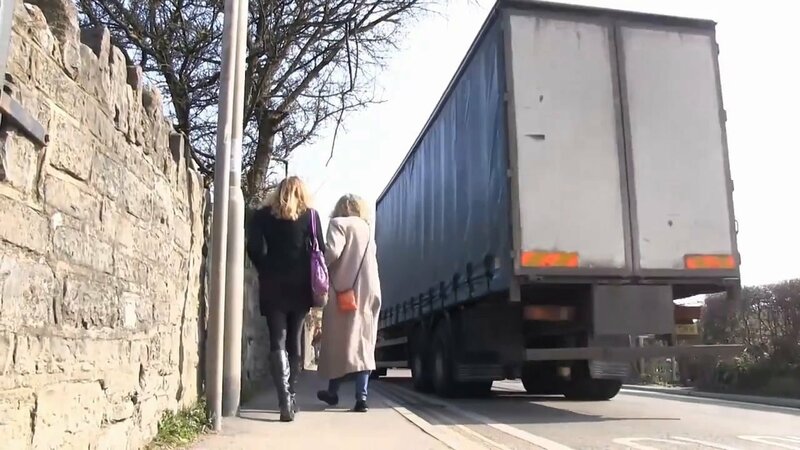 Recall the thunder, the fumes, the high pitched noise of HGV engines, the lack of safe crossing places, the proximity of the traffic to your body on that 2 foot pavement. The sleepless nights in homes or B&Bs along this route… Recall trying to engage in ‘quiet reflection’ at the Chalice Well Gardens, ‘World Peace Gardens’ (alas not so peaceful). 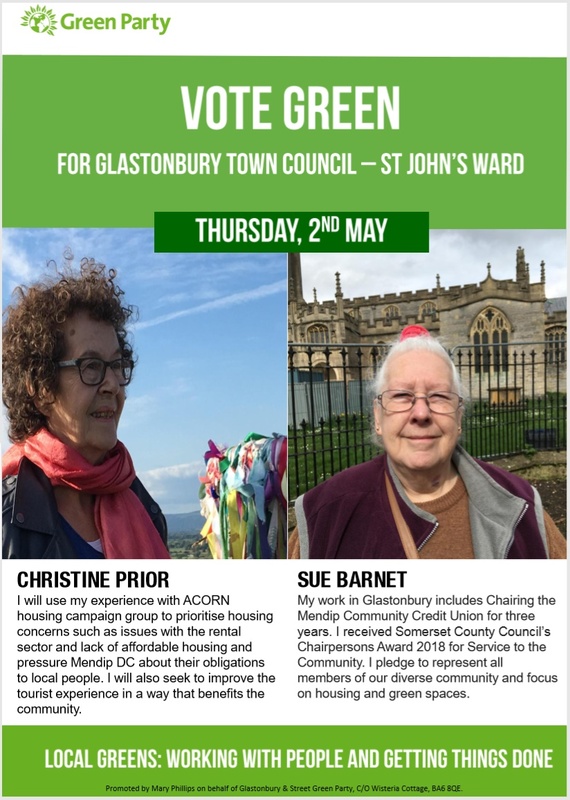 Click on the link, scroll down to ‘Complaints’ and tell SCC about your experience – request they re-route HGVs away from Glastonbury’s Tourist Trail. WE SHOULD NOT HAVE TO WORK THIS HARD ON SOMETHING SO OBVIOUS. 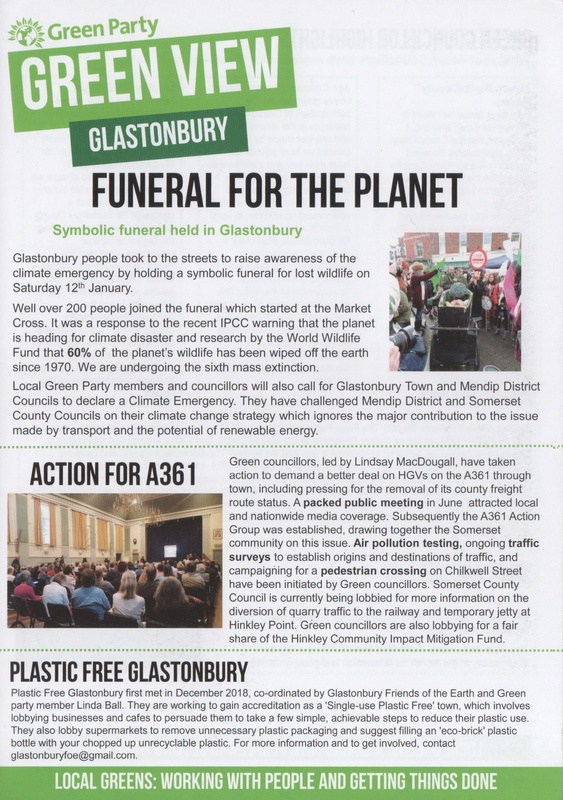 SHAME ON COUNTY AND HIGHWAYS OFFICIALS FOR THE DISRESPECT THEY SHOW GLASTONBURY. Please help by posting your complaint today. Thank you so much for your time!